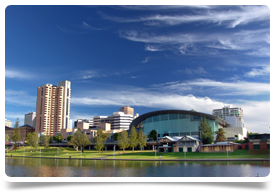 Established in the Northern Suburbs of Adelaide and is looking for VR GP's. Accommodation and a car on arrival, 70% of billings and high earnings. In order to apply for this position you need MRCGP and either CCT / PMETB / JCPTGP Prescribed Certificate, or equivalent. the practice was established in 2016 and has 10 Consulting rooms and the following Allied Health Professionals are based in the clinic: Podiatrist and Physiotherapist. there are a minimum of 2 nurses working every day and one looks after care plans, freeing time for you to spend more time with patients. Pathology is available onsite and there is a pharmacy located in the shopping centre where the practice is located. Doctors also have access to radiology facilities in the neighbouring super clinic. The suburb is 40 mins North of Adelaide CBD. It is newly developed area, with a lot of people moving there away from the city. It has good shopping facilities, several parks and sports venues and schools.